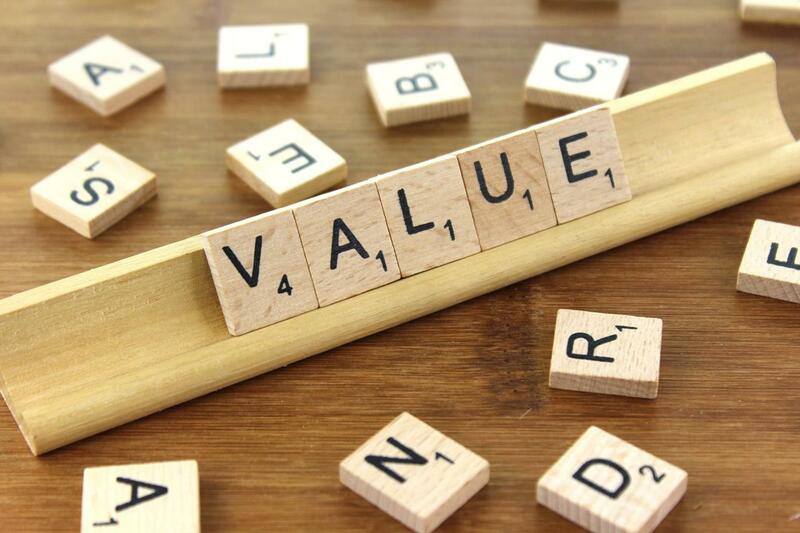 Materially Social: What is value? There are two dominant existing theories of value: the Marxist theory and the theory implicit in mainstream economics. In my book Profit and Gift in the Digital Economy I criticised Marx's labour theory of value in detail, but here we can focus on just one issue. One of the mystifying things about Marx's theory is that although he tells us how he thinks the value of a thing is determined - by the socially necessary amount of labour time required to produce it - he never tells us what value actually IS. It seems to be something to do with price, but he's quite insistent that it's not exactly the same thing as price. It's clear, however, that he thinks that the value of a thing is an objective quantity, determined by objective features of the social world and independent of individual perceptions. In this respect, at least, he's on the same page as mainstream economics. Economists don't talk much about value, claiming instead to have a theory of price: that price is determined by a process of balancing supply and demand. Although this 'equilibrium' price is marginally influenced by individual preferences, otherwise, like Marx's value, it is seen as an objective outcome, and thus as the same for all social actors. Oddly, though, economists generally admit that actual prices often diverge from equilibrium prices, and so there must be a suspicion that their theory, too, is not a theory of actual prices but rather a theory of something related to price - value, perhaps? Neither tradition, it seems, answers the question of what value actually IS, and this might lead us to think that the answer to this question must be very difficult and obscure. I've come to the conclusion, though, that it is neither. In fact, the answer is so straightforwardly based in everyday usage that we all know already what value is: it is the price that a thing ought to exchange at. This was both the everyday and the academic sense of value that Marx and the early neoclassical economists took for granted, a sense that goes back as far as Aristotle and Aquinas, who saw the just price as the standard of value. On this interpretation, Marx's theory simply means that goods ought to exchange for other goods that require the same amount of labour to produce, and the mainstream economists are effectively arguing that goods ought to exchange at prices that balance supply and demand. This also helps to explain why neither tradition finds it terribly problematic that actual prices rarely correspond to labour values or equilibrium prices. Once we have accepted this definition of value, we can see several other important things. First, value cannot be an objective quantity because there can be no objective truth about what ought to be the case: normativity is a social product and thus contingent and historically specific (as discussed in this earlier blog post). Second, different individuals may make different assessments of the value of a thing, depending on which normative standards they apply to the case, and any theory of value must therefore take account of disagreement over value. Third, because value is normative, it depends on the socio-cultural environment - the norm circles that shape our normative beliefs (I discussed norm circles in my 2010 and 2012 books). Fourth, a theory of value will need to be a theory that explains both how our valuations are formed, and also how those valuations function in the process of determining actual prices. Finally, because value is fundamentally normative, any plausible theory of value will need to draw deeply from the sociological tradition. In my next post I will make some proposals about what form such a theory should take.